This document looks at commonly used data types in Decisions and explains which data types should be used for which purposes. A data type, or just "type," is a classification of data which tells the platform how you intend to use the data. The data type may be simple, such as Int32 (a 32-bit integer value) or Boolean (true or false value), or it may be a complex type such as a User Account or Database Structure. Simple types have only one value whereas complex types are structures that may have many values. In Decisions, every variable (and every process that evaluates to a value) has a data type. 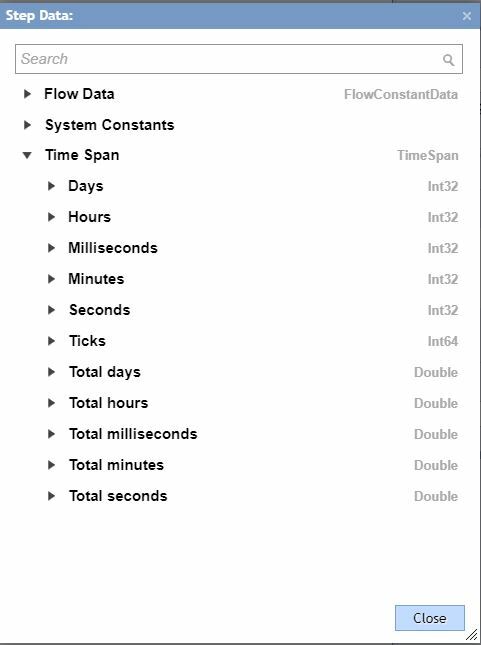 Each step in the Flow Designer specifies a type for its input and output values. By default, Decisions defines a set of built-in alphanumeric types as well as more complex types that represent a wide variety of logical constructs. Decisions also lets you create custom data types, or "user-defined types." 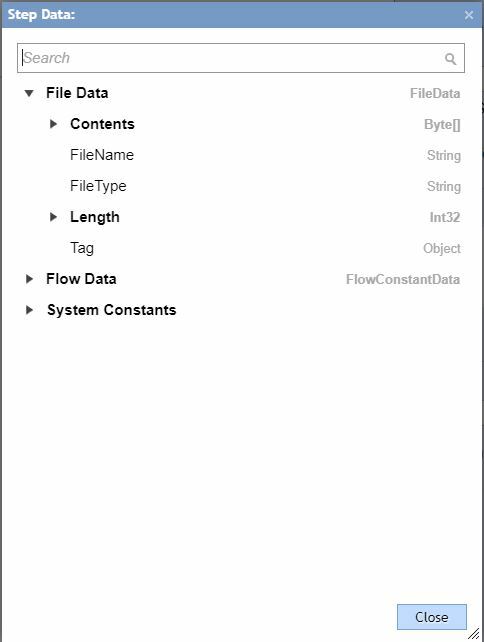 A typical flow will use some native types as well as one or more user-defined type. Next, we are going to overview the most used data types in Decisions. Int32 Type is the most commonly used in Decisions for arithmetical calculations. The binary number and the location of the binary point are both encoded within the value. Again, the number and the location of the decimal point are both encoded within the value – that's what makes decimal still a floating point type instead of a fixed point type. For non-repeating decimal fractions and whole numbers, the most common data type is Decimal. This is usually suitable for any concepts invented by humans, such as financial values or product ratings. For values which are either imprecise or immense (such as is found in artifacts of nature or which cannot be precisely measured), float/double data types are more appropriate. Scientific data is often represented in this form. With these data types, the original values are not "decimally accurate" to start with, so it is not important for the expected results to maintain the decimal accuracy. Floating binary point types are much faster to work with than decimals. String -	represents alphanumeric text as a series of Unicode characters. String Type is used for all text data manipulations. 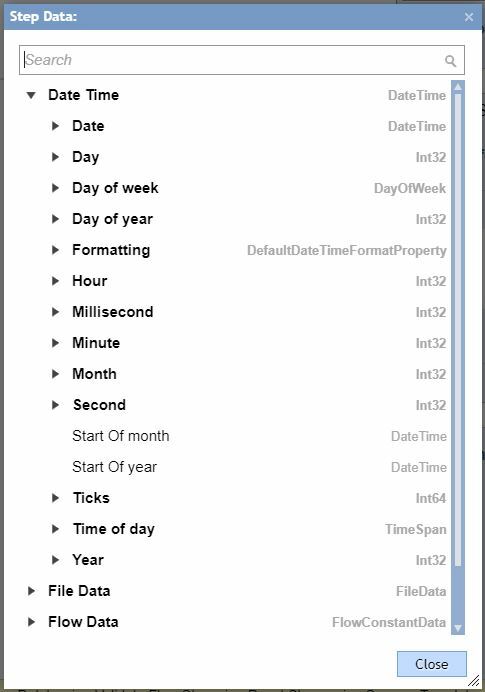 DateTime -	represents an instant in time, typically expressed as a date and time of day. Boolean -	represents a Boolean (true or false) value. Used in logical evaluations like ‘Yes’ or ‘No’. FileData –	represents File in Decisions. Contains following members: Content (Byte Array), FileName (String), FileType (String), Length (Int32), Tag (Object).